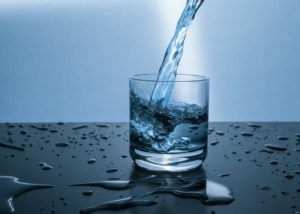 It’s often said that the most obvious things are the first to go overlooked, and this is definitely true of water: as many as 75% of adults may experience chronic dehydration. Regular hydration is crucial to overall health. Whether you are just interested in maintaining good health or trying to avoid or overcome a sports’ injury, ensuring that you stay hydrated is an easy and effective strategy for promoting excellent well-being. There are an inordinate amount of health problems—ranging from minor to major—which dehydration can cause or contribute to. The basic science behind dehydration is this: brain tissue fluid decreases when you aren’t drinking enough water, and as a result, your brain volume reduces which affects the ability of your cells to function. Scholarly studies have frequently shown that this will negatively affect cognitive functions As a result, you can expect dehydration to lead to psychological and neuro-biological symptoms like fatigue and moodiness. There are also physical affects. And if you measure you blood oxygenation and find it low, it could be from dehydration since cell function affects blood volume. Critical organ functions like heart, kidneys, and the intestines may also operate less efficiently. Staying and remaining hydrated with good, clean drinking water is an excellent strategy to avoid these and many other symptoms of dehydration. Even if you already stay hydrated and maintain a healthy lifestyle, accidents or illnesses may still happen. When they do, it is even more important to stay hydrated. Everyone can probably remember being sick as a kid and having their mom constantly say “get plenty of fluids.” She was right! You want to get “plenty of fluids” because fluid intake is an effective way control fevers, prevent and control nausea, and clear your airways of mucus. This applies to the flu, the common cold, a stomach virus, and many common illnesses. But water isn’t just for recovering from “regular” illnesses like the run of the mill cold you caught from a co-worker. It’s also important for injury recovery. When our body is injured, tissues must repair. Tissue repair goes through stages of inflammation, proliferation, and remodeling. Efficient repairs at each stage of this process depends on water intake as the catalyst for improving from each stage to the next. Without sufficient hydration, recovery from injury becomes incredibly difficult. Most people can probably recall learning in elementary school that our bodies are made mostly of water. Even setting aside the scientific details of how and why water is important, a basic fact like this suggests the reality to us: we’re made of water, so water must be important! And it most certainly is. Whether viewed from the perspective of maintaining physical and mental health or viewed from the perspective of recovery, water underpins most of our physiological functions. Without it we can expect a healthy body and mind to deteriorate, and an unhealthy body or mind to only get worse. Stay hydrated and stay health. This entry was posted in At-Home Medical Care Products and tagged blood oxygenation, dehydration, sports injury. Bookmark the permalink.